to view earnings, promotional resources, get support and more! Get paid to share high quality online professional training that can save lives. 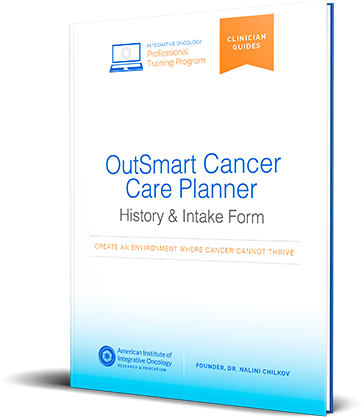 Help spread the word about Dr. Chilkov’s Courses to frontline health professionals and cancer coaches and you’ll be rewarded, in more ways than one. Our referral partner system tracks referrals and pays commissions for every referral you send our way that leads to course enrollment. $1,000 for full price enrollment! Don’t worry, if you offer a discount through one of our promotions, you’ll still get your commission minus the discount passed on to the customer. Get started today, in just a few minutes. We offer top quality courses for frontline health professionals and all the referral partner tools you need to promote them. All you have to do is invite interested referrals to learn more about the course and watch the commission payments flow into your account! When we say “Partner” – we mean it. We track your referral links and cookies based on who actually converts the sale. Therefore, we track by LAST cookie, honoring your effort by ensuring you get credit for sales generated by you, even if the contact was already on our list before you promoted. Sign up as a Referral Partner. Decide how you want to reach the frontline health professionals in your network. You can email our swipe copy, share on social media, place our referral partner banners on your website, or even host a live interview with Dr. Chilkov! In the process of following the link, your referral’s IP is logged and a cookie is placed on their browser for accurate tracking. If your referral enrolls – AT ANYTIME – the order will be registered as a sale for you. You just earned a commission! Six weeks later – to account for potential refunds – our accounting department will review and approve your commission payment, direct to your PayPal account. That’s it! You introduce health professionals to professional education that can help them save more lives and build their practice, we send you money! Signing up and getting your referral tracking link is easy. You can be earning commissions TODAY! In fact, we will send you quick, easy steps for your first two weeks to make it EASY to get to your first commission (and make a difference for hundreds or thousands of cancer patients in the process)! © 2017 American Institute of Integrative Oncology, All Rights Reserved.